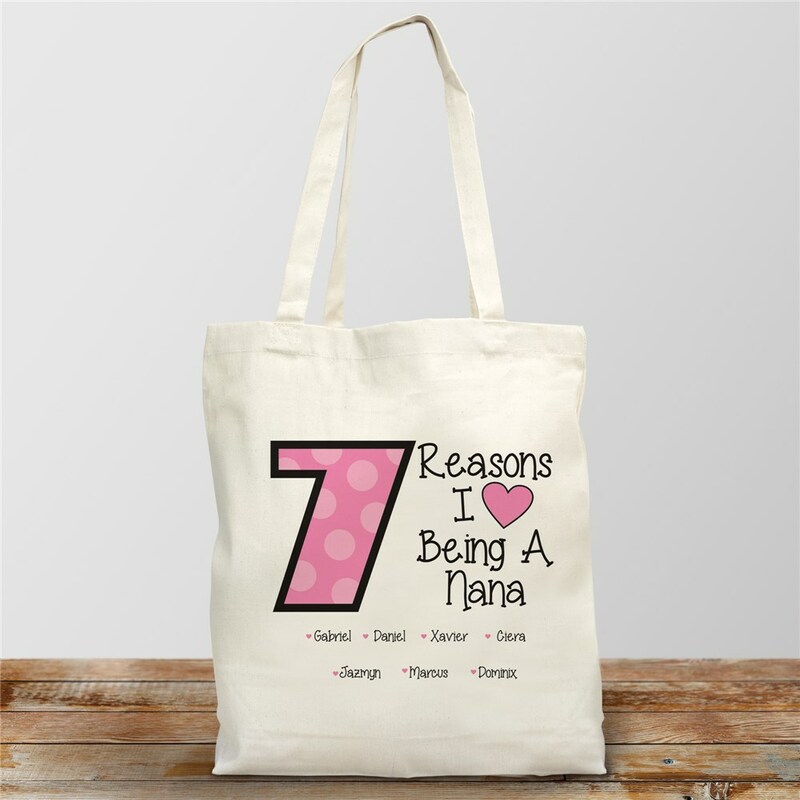 Whether she's running errands, getting groceries, or just out for the day, your Mom, Grandma, or Aunt will love using these personalized Reasons I Love personalizable totes to carry everything she needs. This eco-friendly accessory will allow your recipient to show off her favorite family members in style. This custom tote bag will be personalized with any title (up to 20 characters) plus your number of reasons along with those names (up to 15). This premium 100% cotton canvas, machine-washable tote bag comes in regular and large; large options include choice of black or pink straps. This is a universal product that my mother in law can take anywhere. She loves it and especially to show off her grandkids.